Through the end of the year, all titles from the Battlefields and Blessings: Stories of Faith and Courage series are available from the Gospel Advocate online store for only $14.99 each (Reg $16.99). No promo code is needed for this special holiday season pricing. Battlefields and Blessings: Stories of Faith and Courage is a daily devotional series providing inspirational thoughts and encouragement through stories that capture the American spirit and the courage of men and women who serve and sacrifice. 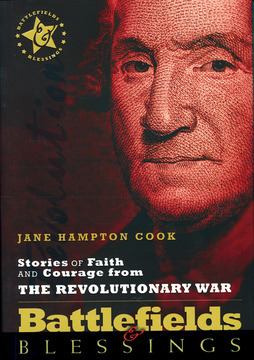 The series contains volumes on the American Revolution, the Civil War, Vietnam, Iraq/Afghanistan, Firefighters, the Home Front and more. Softcover.